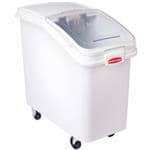 CKitchen.com offers a line of ingredient bins from one of our top commercial kitchen equipment manufacturers KelMax. 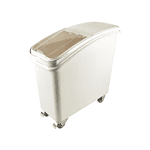 KelMax’s line includes ingredient bins, bin covers and bin tubs. 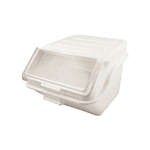 Commercial ingredient bins range from 24-36 gal capacity. 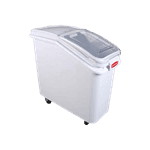 Choose from a single, double or triple tube bin. 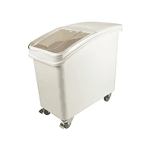 All bins come standard with 5” poly U swivel stem casters. 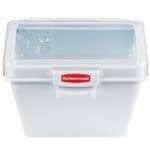 Purchase a ingredient bin or any other kitchen appliances or restaurant equipment from CKitchen.com today for the best price on the market and top quality product reliability. Not knowing the right commercial kitchen appliances or small kitchen equipment products to choose for your business is not a problem. Simply give us a call and speak with one of our certified food service equipment specialists.